Not sure if these still qualify to be classed as cygnets? Anyway, saw these one evening from the RSPB bird hide at Gruinart. 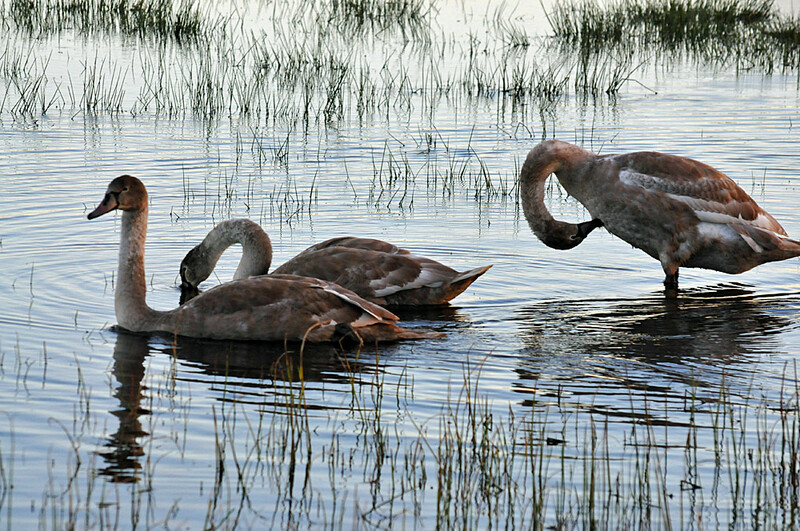 This entry was posted in Landscape, Repost, Sea Loch, Sunny Weather, Wildlife and tagged Gruinart, Islay, Loch Gruinart, Mute Swans by Armin Grewe. Bookmark the permalink.